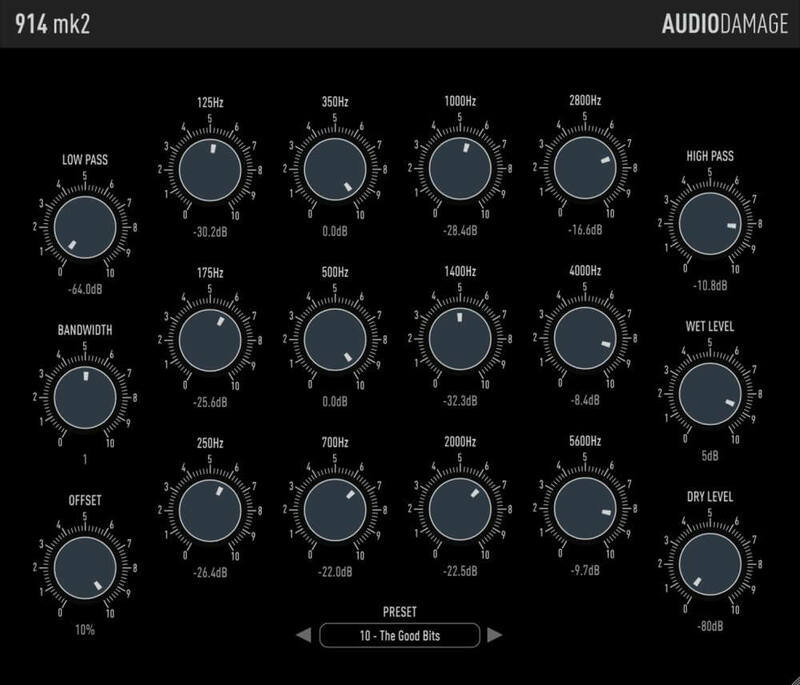 Audio Damage has recently released 914 Mk2 Fixed Filter Bank, an updated version of plugin that creates unique filter textures by passing the signal through twelve band-pass filters, as well as a low-pass and high-pass filter. The Mk2 version of the faithful recreation of the Moog Modular Synthesizer 914 module is a top-to-bottom rewrite, with some new features. 914 Mk 2 is a subtle effect, capable of adding rich luster to pads, and giving percussive and lead synth sounds a vocal quality. 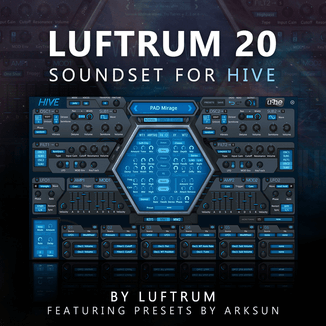 It is an excellent tool for the sound designer’s palette, simple to use yet capable of complex and unique timbres. 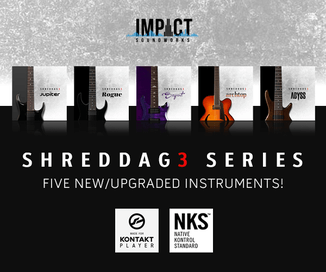 The Mk 2 update adds a frequency offset control, VST3 and AAX support, a vector-based resizable GUI, and a platform-agnostic XML-based preset system. Twelve fixed-frequency band-pass filters, with bandwidth and frequency offset controls. 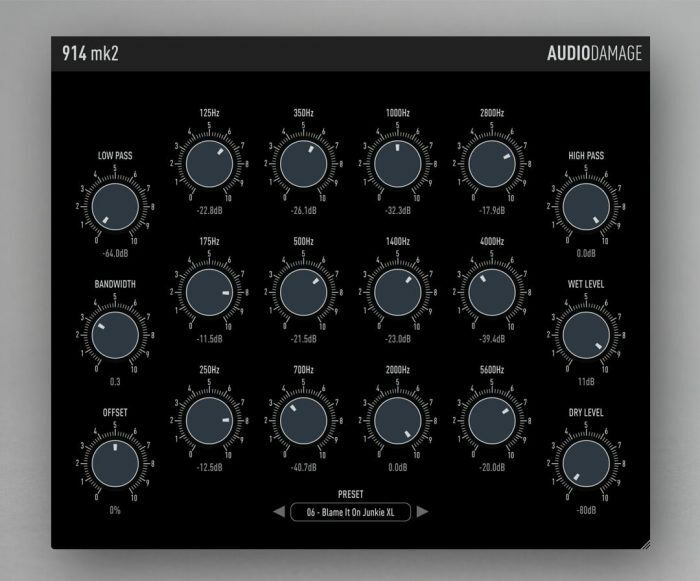 914 Mk2 is available for Windows and Mac (VST/VST3/AU/AAX), priced at $39 USD. Owners of the 914 Mk1 and 907a plugins can upgrade for $10 USD.